Jeff Loomis is without a doubt one of the most technically advanced and fast guitar players on the planet but also one of the most soulful ones. He can shred, he can compose killer riffs and solos, he can play acoustic and basically do everything humanly possible on guitar. You can currently follow his work on the new Arch Enemy albums and listen to his masterpiece parts on the Nevermore and Conquering Dystopia records. He has two incredible solo works which are also truly worth a listen. Mastodon is one of the first bands that come to mind when speaking about modern metal and their music is gaining more and more popularity, even more so after the release of their last three albums. Brent Hinds is the one responsible for many of the most impressive and mind-bending guitar riffs and solos in modern metal and continues making history singing and playing for the Atlanta-based band. His style is mostly known for the fast picking and progressive / psychedelic rock influences, creating a perfect balance between his rock ‘n’ roll and metal side. Fredrik Thordendal and the Swedish band Meshuggah are one of the most important originators and innovators in the metal scene and have been such for a long time. The introduction of fractal polyrhythms and Djent as a music genre have made Meshuggah a very important factor and an inspiration to a lot of guitar players. The Swedish virtuoso is famous for using customized signature 7- and 8-string guitars and playing in unusual time signatures, which form his distinguished style. Fredrik’s playing can also be heard on his solo project, Fredrik Thordendal’s Special Defects. 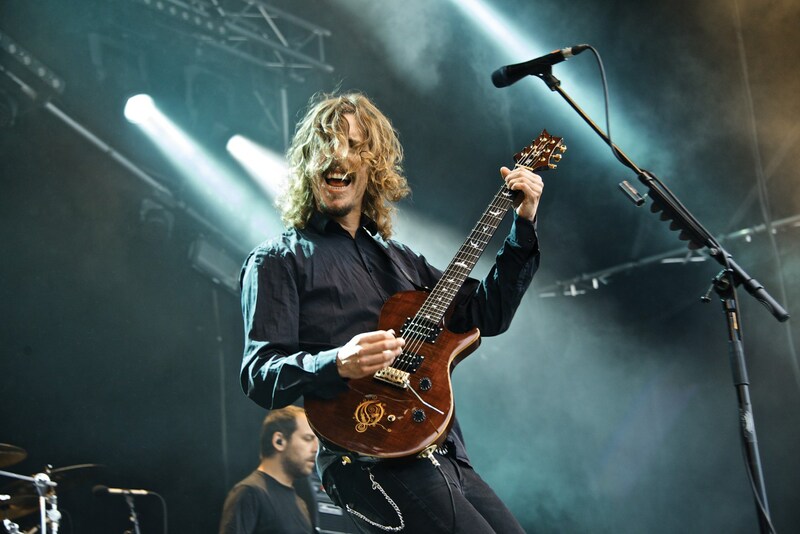 Mikael Åkerfeldt is definitely not a new name in metal music but considering how much his music with Opeth has changed in the last few years, he sounds like a completely different player. Mikael has proven himself to be one of the most versatile and evolving players ever – he can do brutally heavy riffs, breathtaking and emotional solos and showcase some impressive fingerpicking techniques. He can do everything from acoustic ballads to extreme death metal and you can never know what to expect from him. Exactly this is what still makes him an inspiration to guitar players worldwide. Ivar Bjørnson is one of the two remaining founding members of the Enslaved line-up and one of the most influential viking, progressive and black metal guitarists in the world. Ivar is a great composer and has written a lot of the Norwegian band’s emblematic songs. Similarly to Mikael Åkerfeldt and Opeth, he has helped change Enslaved’s extreme sound beyond recognition. Throughout his career, he has played everything from “true Norwegian black metal” to Pink Floyd-inspired psychedelic rock pieces and he has managed to impress every time. By All Means, Share your Favorite Guitar Players with us below or on Social Media. Comments always welcomed!